2 Bedroom Apartment To Rent in Nottingham for £900 per Calendar Month. This luxury apartment is located in the tower of Marlborough Hall and comprises of a modern living/kitchen area with integrated appliances including an electric hob, electric oven, extractor, fridge/freezer, dishwasher and free standing washer dryer, master bedroom which is located in the tower, a generous second bedroom and a contemporary family bathroom. 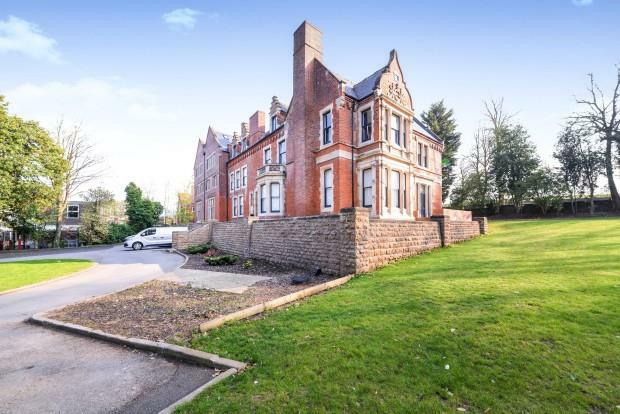 Marlborough Hall is an exclusive gated development in Mapperley Park consisting of sixteen individual apartments. Built in 1875 this former Victorian house has been aesthetically refurbished restoring many of its original features including stunning atrium, stonework around the windows, wooden beams and Minton tiled flooring. There is a selection of one and two bedroom luxury apartments some with outdoor space including courtyard gardens and patio areas, all of the apartments benefit from allocated parking. The development has two parts, The Atrium and The Convent. The Atrium has an impressive and spacious hallway leading to the apartments on the ground and first floor and has Minton tiled flooring and original staircase. This property also benefits from a seperate dressing room fitted with clothes rails and built in storage. Call our team Jessica, Jessi or Emmie on 01159 620961 to arrange a viewing.